Wolf Material Handling Systems has years of expertise in providing complete engineered material handling systems for wood yards. 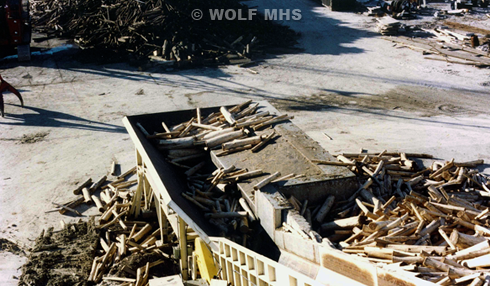 Wolf has supplied systems for receiving round wood, debarking, cut-to-length, chipping, screening, storing, reclaiming, re-chipping, and feeding digesters. Wolf understands the unique requirements for a wood yard an takes complete design and supply responsibility of the material handling system. Wolf offers a Performance Guarantee on each system design.